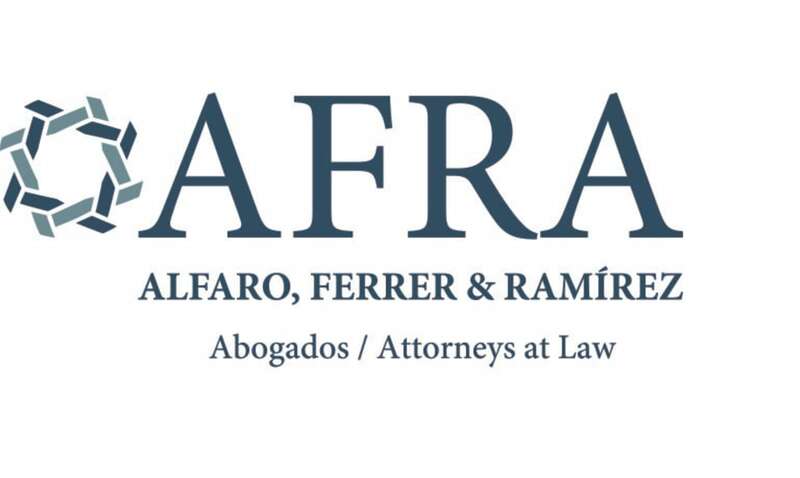 Alfaro, Ferrer & Ramirez (AFRA) is one of Panama’s leading law firms, staffed by a solid and reliable team of lawyers. The firm’s work is characterised by integrity and efficiency, with a strong dedication to providing a professional and personalised service to its clients. Public procurement and infrastructure: The firm’s services extend to contract negotiations with the government, representing clients through the bidding process and structuring the finance of the operations. Most of the public procurements in which the firm has participated concerned the building and operation of infrastructure such as highways, ports, oil free zones, energy transmission systems, sewage infrastructure, telecommunication concessions and public transportation infrastructure. Mergers & acquisitions: The firm has been retained on several occasions to carry out complex due diligence studies and analysis in connection with potential acquisitions and mergers involving companies in Panama. The firm has had experience in M&A transactions involving retail industries, manufacturing companies, banks and insurance companies, real estate developers, pharmaceutical and IT companies. Intellectual property: AFRA has substantial experience protecting intellectual property rights for local and leading international companies. The firm provides comprehensive advice on the protection and defence of IP rights in the administrative and judicial courts of law, and is consistently ranked as a top tier law firm on this area. Immigration: The firm is a leader in providing assistance to international clients carrying out business activities in Panama in connection with regulating the presence of expatriate executives relocated to Panama by multinational companies. Project finance: The firm has participated on sophisticated project finance deals, mostly representing banks, institutional investors and international financial institutions. The firm is usually involved in drafting and negotiating the legal terms for the finance agreements, and setting up complex collaterals and guarantees to protect the credit holders, as well as issuing legal opinions in connection with the transaction. Capital markets: AFRA's involvement with the capital markets and securities regulation sector ranges from walking clients through the licensing process to advising on their day to day legal and regulatory needs, to participating in complex capital markets transactions. Also, the firm has experience with the registration of securities offerings and establishment of mutual funds. The firm has been involved in a wide variety of deals of secured and unsecured financing, from debt and equity to structured facilities, having documented a wide range of debt and equity offerings, as well as bonds, including equity-related debt. Some of the firm’s clients are: Telefónica Moviles Panamá, SA, Banesco, SA, Banco Aliado, SA, McDonald’s Corporation, Credicorp Bank, Safra National Bank of New York, L’Oreal, BP Products, Hilton Hotels, Riu Hotels, Banesco Seguros, MetLife, Western Union Company, Organización Terpel, Grand Bay Paper & Care Products, Inter-American Development Bank, Inter-American Investment Corporation, Deutsche Investititions-und Entwicklungsgesellschaft mbH (DEG), Corporación Andina de Fomento (CAF), JVCKenwood Latin America, SA, adidas Latin America, SA, Red Bull GmbH/Red Bull de Panamá, SA, Grupo Agrisal, Hilti Latin America, AbbVie, Abbott Laboratories, LEGO, Cinemark and Microsoft de Panamá, SA.